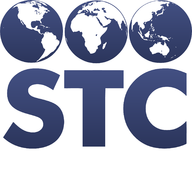 Have you heard of STC IQ? data quality and processes to the next level. 1. Individual data quality profiles for each submitting provider organization. 2. Unique data quality settings for each individual provider organization. 1. Provides the necessary tools to evaluate and validate incoming HL7 messages. 2. Creates test HL7 messages based on a user entering the data needed in the message. 3. Easy analysis of HL7 messages by splitting them into different segments, fields and components. 1. Allows a user to “drill down” to the data element level to identify individual errors within the message. 2. Archiving and auditing for all incoming HL7 messages for later review.